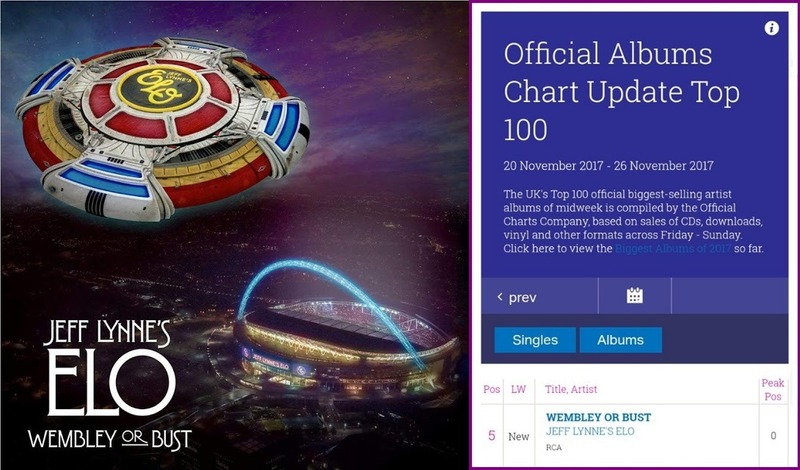 The Official Midweek Album Chart has just revealed that "Wembley Or Bust" by Jeff Lynne's ELO is nicely placed at #5 (see above) in the UK Top 10. This is an excellent performance for the live set and follows the success of "Alone In The Universe", which entered the Midweek Chart back in 2015 at #3 before being confirmed at #4 in its first week. ELO's million plus selling compilation "All Over The World" is also holding on tight at #70.